The torture that detained Catholics in Northern Ireland allegedly endured at the hands of the British was on the scale of a “war crime” a Belfast Court has heard. The case revolves around 14 men who were kidnapped by security forces in 1971 and subjected to so-called deep interrogation. This included the “Five Techniques” that were to become standard practice for ‘War on Terror’-era interrogators. The five methods were hooding, stress positions enforced through beating, sleep deprivation, food and water deprivation, and exposure to loud noise like radio static. Legal action is being pursued in order to force a full inquiry into the allegations. “It’s difficult to see how torture in the context one is talking about, people detained by the State in the circumstances they were, is any less serious than torture inflicted in a wartime situation,” the barrister representing some of the surviving victims told the court. “Where one is looking at allegations of torture, which is an issue in this case, one is at the level of a war crime,” they said. 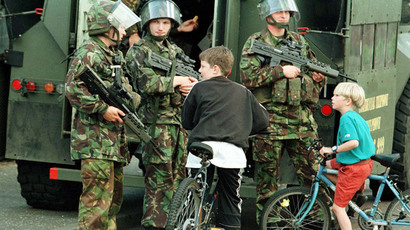 The internment was part of a mass arrest and detonation initiative conducted by the British Army dubbed Operation Demetrius. 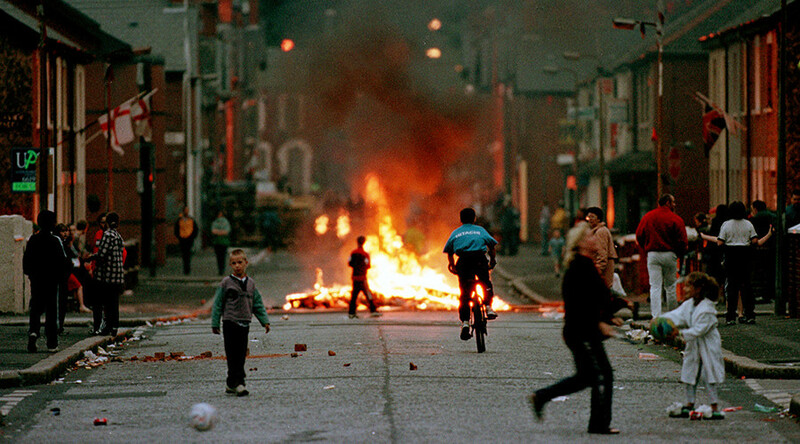 Some of the victims were hooded, beaten, and even thrown out of an airborne helicopter, which, unbeknownst to the hooded men, was hovering only a short distance above the ground. In 1976, the case went to the European Commission of Human Rights, which ruled that the British Army’s actions plainly constituted torture. In 1978, however, the European Court of Human Rights (ECHR) decided that, although the treatment was degrading and inhumane, it could not be classified as torture. It was later revealed that the UK had withheld information from the court, including the authorization of torture by the highest levels of government.